North Dakota, late summer, 1999. Landreaux Iron stalks a deer along the edge of the property bordering his own. He shoots with easy confidence—but when the buck springs away, Landreaux realizes he’s hit something else, a blur he saw as he squeezed the trigger. When he staggers closer, he realizes he has killed his neighbor’s five-year-old son, Dusty Ravich. LaRose is quickly absorbed into his new family. Plagued by thoughts of suicide, Nola dotes on him, keeping her darkness at bay. His fierce, rebellious new “sister,” Maggie, welcomes him as a coconspirator who can ease her volatile mother’s terrifying moods. Gradually he’s allowed shared visits with his birth family, whose sorrow mirrors the Raviches’ own. As the years pass, LaRose becomes the linchpin linking the Irons and the Raviches, and eventually their mutual pain begins to heal. 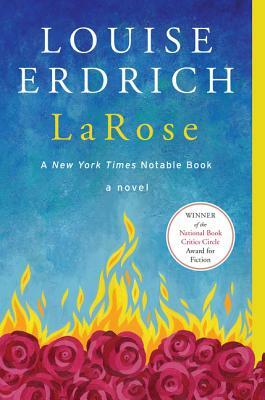 Inspiring and affecting, LaRose is a powerful exploration of loss, justice, and the reparation of the human heart, and an unforgettable, dazzling tour de force from one of America’s most distinguished literary masters. — Entertainment Weekly, "Best Books of 2016 so far..."